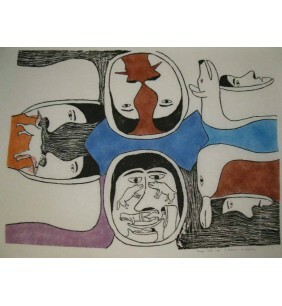 Print : Eskimo Game, 1969, 29/50 by Mariogak of Holman .. 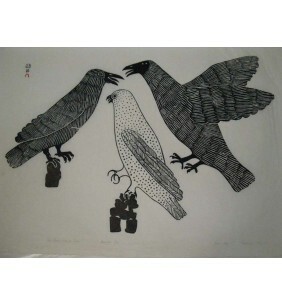 Spirit of the Wolf print from Cape Dorset, edition 12/50, 1979, by Ningeeuga ..
Inuit print `` White bear `` 18/50 1988 26 `` X 19.75 `` b..
``Amoulut `` by Kananginak Technical: Stonecut and Stencil 1/50 Dorset..
``Hunger `` by S. Tookoome and M. Ukapatiku 35/45. 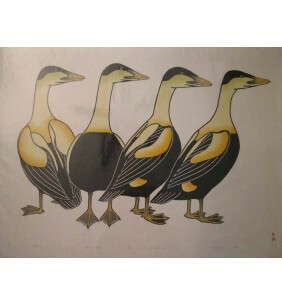 37``L X..
``Two Ravens and an Owl `` by Paulassie # 51503 Technical: Stone Cut. 6/50, Dorset, 1966. 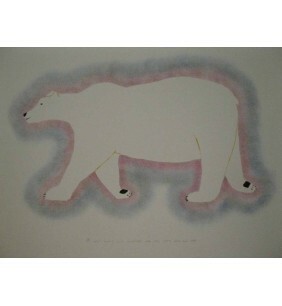 ..
``Un ours polaire en quete de nourriture`` by Sarah Putugu 1988/9 26``L X 20``H in..